The El Congo-Ciudad Antigua archaeological site is located on the western face of the Sierra Nevada de Santa Marta mountain range towards the upper section of the Rio Frio basin. 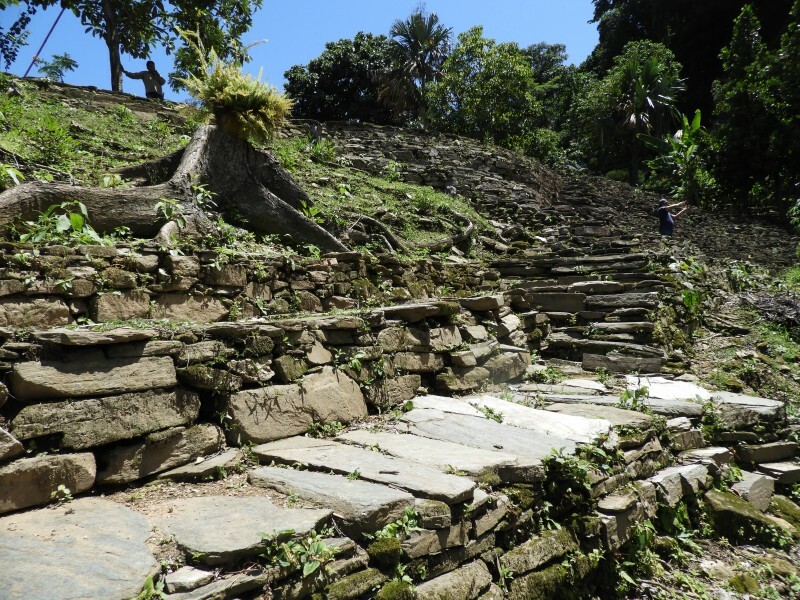 The archaeological remains, which include a number of terrace structures, extend over more than 60 hectares, spreading down the slopes of narrow hillcrests from 900 to 600 meters elevation. Many of the remains are located within ProSierra’s El Congo research station and adjacent farms. The El Congo research station is an archaeological and biological conservation area owned by ProSierra since 1991, and the 2019 field season seeks to continue preliminary research that began in 2018. 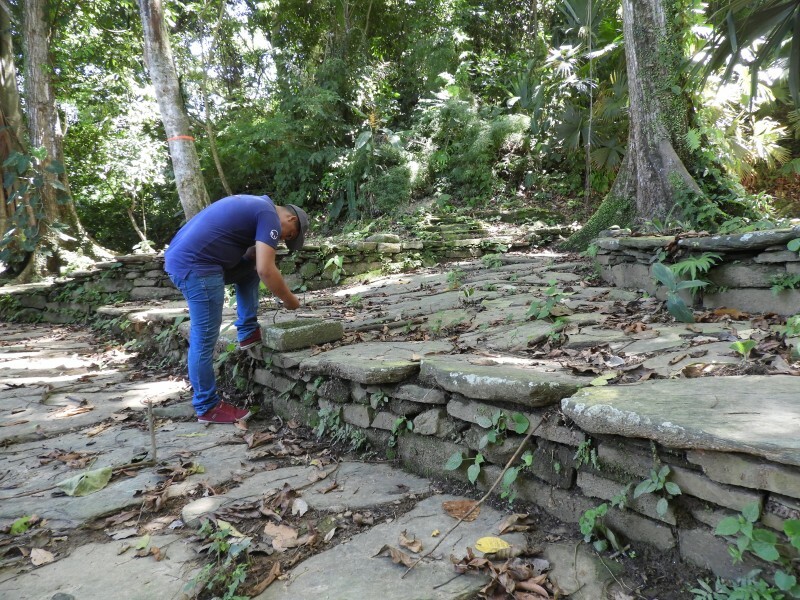 Between 2006 and 2017, our research program concentrated on Teyuna-Ciudad Perdida Archaeological park and sites in the surrounding area, focusing on producing a better understanding of its construction sequence and layout. For 2019 and subsequent years, we are directing research towards the Rio Frío basin to compare inter-basin differences and similarities between sites and towns. 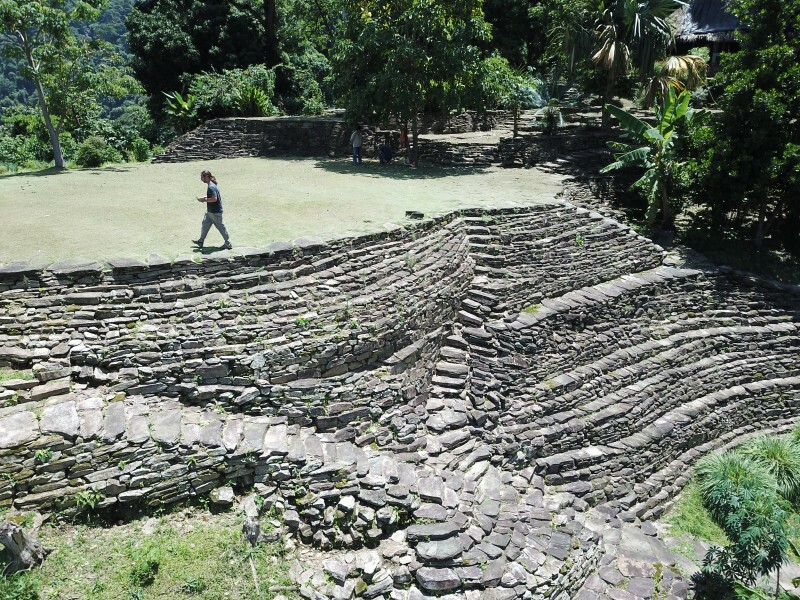 El Congo-Ciudad Antigua is located a relatively short distance due west of Teyuna-Ciudad Perdida but in a completely different basin, such that we believe them to be part of two different polities. One of the general aims of the research program involves trying to investigate whether these political differences do or do not manifest themselves in architecture and material culture. During the field season, we will also be doing limited conservation work at a number of structures that have collapsed and need rebuilding. We will be working with a local conservation team led by Eduardo Mazuera. Given that some of these terraces may have buried occupations, stratigraphic details must be carefully recorded, and artifacts buried in terrace fill recovered and cataloged. Students will rotate between the excavation and conservation teams. Minimum Length of Stay for Volunteers: Students must stay for the duration of the program. Conditions are basic, there is no hot water, and you will be sleeping on bunk beds or field cots in a gender-separated single room structure. All meals will be communal events at the kitchen and will provide plenty of food prepared by a local cook. The daily diet is based on rice, corn cakes, manioc, potatoes, plantains, lentils, beans, meat (beef, pork, chicken and fish) and when available, vegetables and fruit juice. Vegetarians may attend but will find that vegetable and fruit availability vary as the season progresses and we use up our store of fresh produce. Vegan, kosher, and other specialized diets are impossible to accommodate in a remote location such as this one. Cost of Room and Board is included in the tuition. Bray, Warwick. 2003. Gold, Stone and Ideology: Symbols of Power in the Tairona Tradition. In Gold and Power in Ancient Costa Rica, Panama and Colombia, Jeffrey Quilter and John W. Hoopes. 301-344. Washington, D.C: Dumbarton Oaks. Cavelier, J., Aide, T.M., Santos, C., Eusse, A.M., and Dupuy, J.M. 1998. 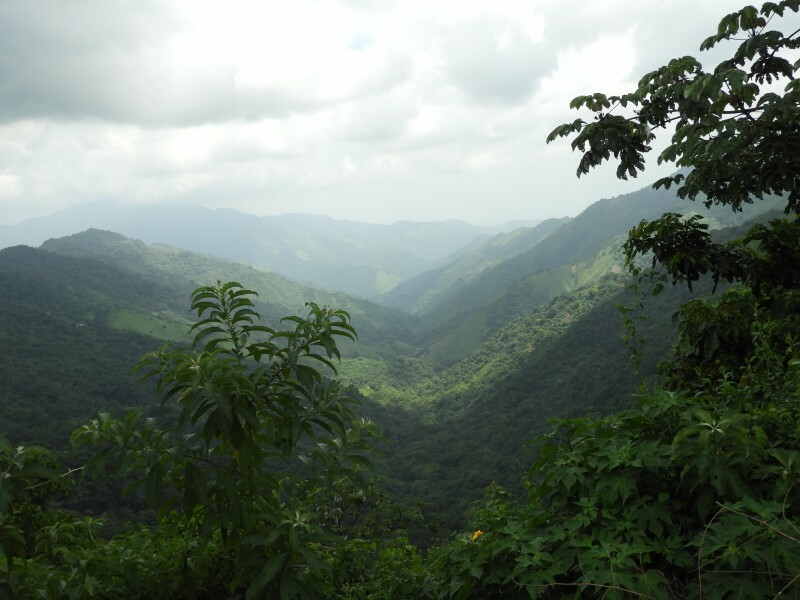 The Savannization of Moist Forests in the Sierra Nevada de Santa Marta, Colombia. Journal of Biogeography 25, 5 (Sep. 1998): 901-912. Dever, Alejandro. 2007. Social and Economic Development of a Specialized Community in Chengue, Parque Tairona, Colombia. PhD diss., University of Pittsburgh. Ch. 1, 2, and Conclusions. Edelman, Marc and Haugerud, Angelique. 2005. The Anthropology of Development and Globalization: From Classical Political Economy to Contemporary Neoliberalism. Oxford: Blackwell Publishing. Chapter 1 and Selected Chapters. Feilden, Bernard. 1994. Introduction to Architectural Conservation. In Conservation of Historic Buildings. Elsevier. U.K. Eppich, Rand (Ed). 2007. Recording, Documentation and Information Management for the Conservation of Heritage Places. The Getty Conservation Institute. Los Angeles, California. -----2009. 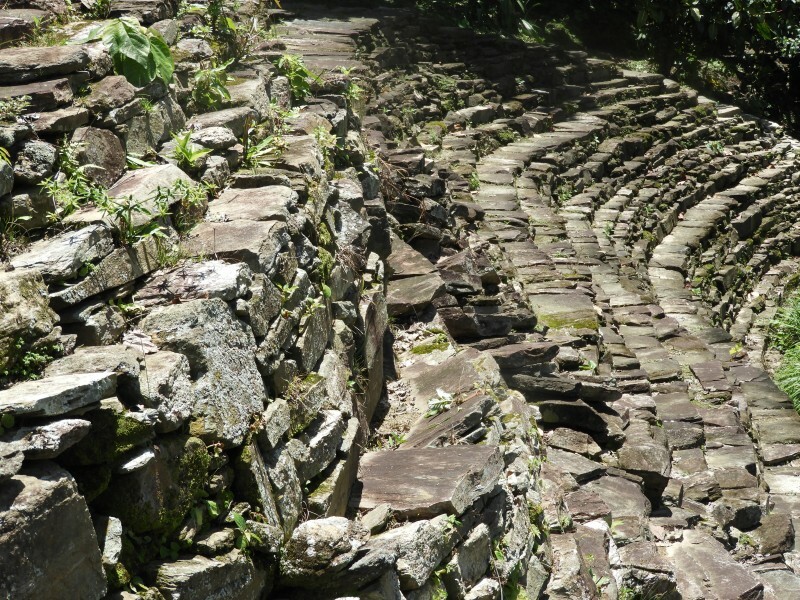 Teyuna-Ciudad Perdida Archaeological Park Guidebook. Bogotá: Instituto Colombiano de Antropología e Historia. ICOMOS. 1990. Charter for the Protection and Management of the Archaeological Heritage. Jokilehto, Jukka. 1999. A History of Architectural Conservation. Elsevier. U.K. Ch. 10. Krogzemis, James R. 1967. A Historical geography of the Santa Marta Area, Colombia. PhD diss., University of California, Berkeley. Langebaek, Carl. 2003. The Political Economy of Pre-Colombian Goldwork: Four Examples from Northern South America. In Gold and Power in Ancient Costa Rica, Panama and Colombia, Jefferey Quilter and John W. Hoopes, Eds. 245-278. Washington D.C: Dumbarton Oaks. Matero, F.,K, Fung., del Bono, E., Goodman, M., Kopelson, E., McVey, L., Sloop, J., Turton, C. 1998. 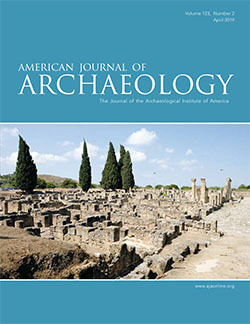 Archaeological Site Conservation and Management: An appraisal of recent trends.Conservation and Management of Archaeological Sites. Volume 2: 129-142. James & James, London. Moore, Jerry D. 2014. A Prehistory of South America. Boulder: University of Colorado Press. Chapters 2-4, 10. Sullivan, Sharon. 1995. A Planning Model for the Management of Archaeological Sites. In De la Torre, Marta (Ed). The Conservation of Archaeological Sites in the Mediterranean Region. The Getty Conservation Institute, Los Angeles, California.